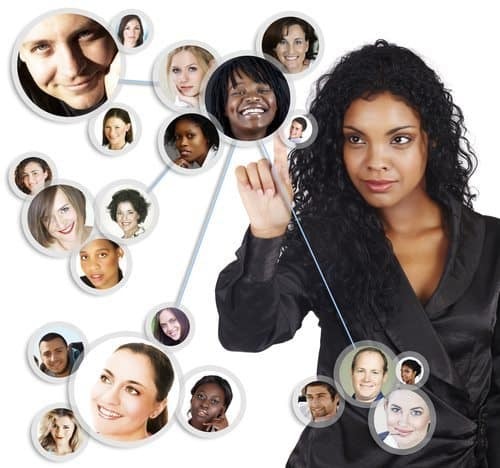 When you are networking do you count your conversations… or make every conversation count? In this article, Heather Townsend, the author of The Financial Times Guide To Business Networking, shares her FITTER networking model – which if you follow will make your conversations count, regardless of who they are or where you meet them. Can I ask you a direct question? How many ‘let’s meet for coffee/lunch’ meetings have you had whilst ‘networking’ which have actually led to real business being generated? I will hazard a guess, that if you are anything like me in my early days of business ownership, very little. This is the very reason I devised The FITTERTM model. This is my own model which I have developed over the last few years and used to train business owners on how to network in a time efficient manner. It gives you a simple mnemonic which, if applied to your networking activities, will enable you to network efficiently and effectively anywhere, anytime and with anyone. Your follow up is crucial to your networking success. After meeting new people, decide on how important they are to you. I tend to have a very simple classificiation system, where I class people within my network as an A, B or C-lister. If they are likely to be able to help me meet my business goals in the short and medium term, I class them as an A-lister. My C-lister is someone that either the chemistry between us is just not gelling or they are very unlikely to be able to help me achieve my goals in the long term. Anyone I am not sure about, get’s classed as a B-lister. You never get another chance to make another first impression. A good first impression enables you to start and build a mutually beneficial relationship. Most people when they think about first impressions, automatically think about meeting someone face to face for the first time. However these days they are just as likely to meet you online as they are face-to-face. Like many business owners your time is precious, so make sure you know who you want to meet and why you want to meet them. Before you even agree to an event, see who will already be attending? Are these the type of people, your business needs you to meet? Give your networking some va-va-voom by seeing if you can arrange to meet people at an event, rather than hope you will meet them at an event. It makes it ten times easier to enter a room full of strangers if you have already agreed to meet someone at the event. Before you start talking business, take your time to get to know the person first and generate some rapport. Once rapport has been established, then move the conversation onto business topics. Many people make the mistake of zooming straight into a sales pitch when they are out meeting. 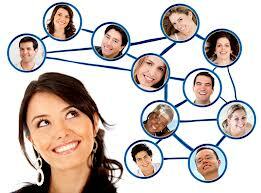 Let me emphasise, when networking you are not there to sell, you are there to build relationships. It’s from these relationships that opportunities and business will flow. How do I put this nicely? The best way to generate a relationship is to forget about you and your needs. if you focus 80% of your energy on listening and finding out about the other person. When you are networking online, try to include questions which encourage people to comment and join in the conversation. Your research will enable you to focus only on the events worth attending, but the social networking sites, forums, groups and people who will be beneficial to you to meet or re-connect with and good topics to talk about. So next time you think about going out network, make sure that you give yourself an effective work out by putting the FITTER model through its paces.